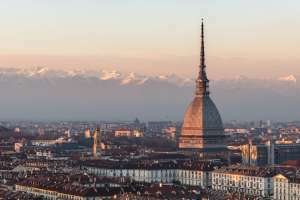 There are few cities in the world that can boast a backdrop as breathtaking as Turin. Surrounded by the majestic peaks of the Alps, on a clear day the sight of the snow and the glaciers crowning the Piedmontese capital is truly spectacular. The home of the Winter Olympics in 2006 is also a proud Savoy royal city and was the first capital of unified Italy, albeit only for a handful of years. Its grid-line structure, the perfect architectural proportions, the endless porticoes and the elegant shops and cafes talk of a city that is classy and stylish. But Turin is also one of the industrial powerhouses of Italy (who hasn’t heard of Fiat, for instance?) that grew into an enormous melting pot as people from far and wide came to work in the factories. 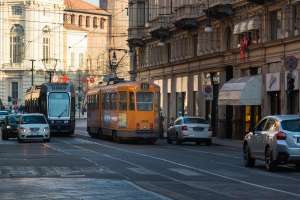 Today Turin is reinventing itself as a new, ambitious and open city, embracing LGBT rights to the max. 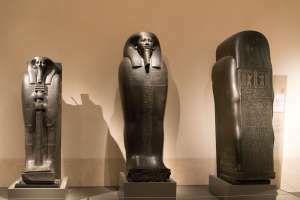 Not many people know that the Egyptian Museum of Turin is actually the most important in the world after Cairo. Completely renovated and extended in 2015, its collection includes over 30,000 objects that span thousands of years of civilisation along the Nile River. Some of the exhibits are truly stunning for their state of preservation, despite being thousands of years old. You really can’t miss the Mole: it towers 167 metres above the city and you will see it peaking through the buildings all the times. Built originally to be a synagogue, it later became a public building and now it’s the home of the very interesting Cinema Musueum. But the most amazing thing is its glass elevator (a la ‘Charlie & The Chocolate Factory’) that takes you to the lantern on top - rising completely suspended in the middle of the dome. Unmissable (unless you suffer from vertigo, of course!). The beautiful Basilica of Superga was built in 1715 by superstar architect Filippo Juvarra, who is behind most of the stylish buildings in Turin. Apart from the church itself, which holds the graves of many of the Savoy royals, the place is simply beautiful, surrounded by extensive woodland and offering fabulous views over the city and the Alps (provided there’s good visibility, which is not so common in Turin). You can comfortably reach Superga from the city by an old fashion funicular, adding a good measure of old-times charm. The royal residence of Venaria was created upon the wish of Duke Carlo Emanuele II in the second half of the 17th century and destined to be a hunting retreat for the Savoy and their guests. This incredibly beautiful place and its gardens remained almost forgotten and somehow dilapidated until 1998 when a complete restoration was finally decided. Today the complex is a UNESCO protected sight and a palace that can easily compete in beauty and refinement as other royal residences around Europe. Many years ago San Salvario was a rather dodgy neighbourhood squeezed between the main railway station and the river Po. Today the neighbourhood is possibly one of the hippest and most happening places in Italy. Here you will find plenty of restaurants, bars, music venues that literally overflow at the weekend. During the day the Valentino Park is a lovely spot to spend some time in the open air. Here you will also find the Valentino Castle, which was the Savoy’s summer palace and dates back to the 15th century. Il Male is a bar in Turin where guests can catch some good drag & cabaret shows. Occasionally there are lesbian nights. Queen Forever is very well known for its drag shows, especially on Thursdays when it hosts Drag Forever. Since 1994, Bananamia is an established Friday night regular that is held at the Centralino Club, right in the centre of Turin. 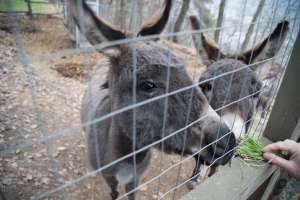 A new party started in 2016 that's gaining plenty of attention. Generally held at Life Club, in the Valentino Park area. Queever is the main LGBT club night in Turin, held on Sundays at Loud Club. Attracts people from far & wide. Since 2014 CasArcobaleno is the home of many organisations and groups supporting and working for the LGBT+ community. Torino Pride is the community organisation that organises the yearly Pride event as well as many other activities year-round. Jo-In Tour Operator is a preferred business engaged in the promotion of the Piedmont territory by organising customised, thematic and unusual trips.